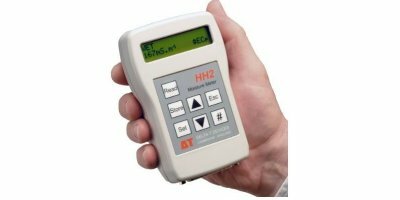 ET and ETL Portable Water Level Meters are designed to provide reliable and accurate measurements of groundwater levels. Water level readings are taken at the top of the casing with accuracy to within 1/100 of a foot (3mm). 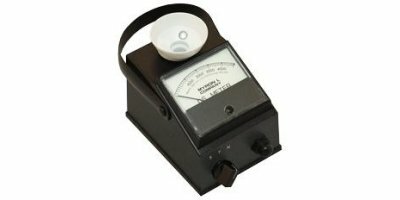 The Myron L Pool Meter is designed specifically for the Pool and SPA Industry with “DUAL” Ranges. Scaled in both ranges: 0-5000 ppm of TDS (442), 0-5000 ppm of NaCl. An active, flexible strip concrete construction joint waterstop, WATERSTOP-RX provides a strong positive seal by expanding upon contact with water. Proven effective on projects worldwide for over 20 years, Waterstop-RX is designed for both continuous and intermittent hydrostatic conditions. WATERSTOP-RX is available in multiple configurations. Capacity range 0.74 – 32 l/h, 25 – 2 bar. 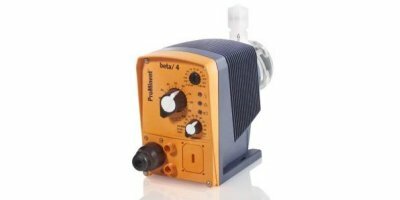 All-purpose solenoid metering pump for metering liquid media in water treatment and chemical processes: Solenoid driven metering pump Beta. Cost-effective, overload-proof, adaptable to existing signal transducers. 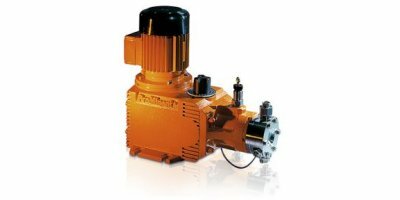 Capacity range of single pump: 21 – 1,330 l/h, 400 – 18 bar; The Orlita Evolution 3 meets the highest safety requirements as an extremely robust hydraulic diaphragm metering pump. It stands out, thanks to its PTFE multi-layer diaphragm with integral diaphragm rupture warning system and unique diaphragm position control. 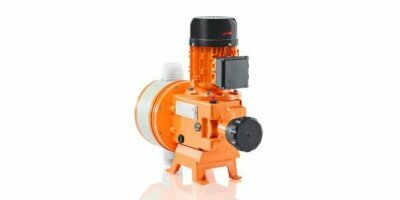 Capacity range 6 – 59 l/h, 216 – 52 bar; The extremely high-performance Meta is a plunger metering pump with the option of adjusting the pump capacity in 0.2% increments. It offers a wide range of power end versions, such as three-phase or 1-phase AC motors, even for Exe and Exde areas with ATEX certification. Capacity: 12 g/h - 15 kg/h. 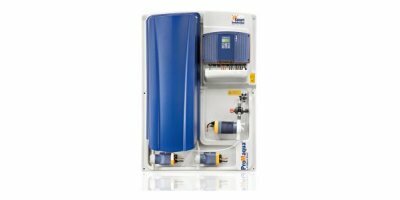 The chlorine gas metering system DULCO Vaq type PM 3610 C for automatically controlled metering of chlorine gas. Its simple operation offers safety and precision in accordance with the current state of technology and in line with DIN standards. Metering volumes: 0.02 – 1.55 l/h, 10 bar. Handy metering system for emergency potable water disinfection. For fast use against micro-organisms. 5-200 g/h chlorine dioxide. Max. flow at 0.2 ppm ClO2 metering is 1,000 m3/h. 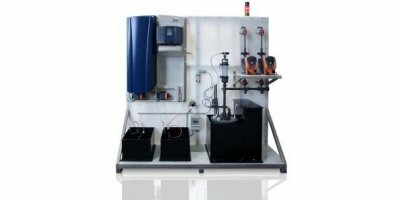 Chlorine dioxide system, which continuously produces ClO2 according to the acid/chlorite method with diluted chemicals. Extremely simple operation, clear construction, analogue control, manual control or via contacts. 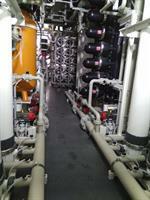 Capacity range of single pump: 260 – 2,100 l/h, 12 – 4 bar. 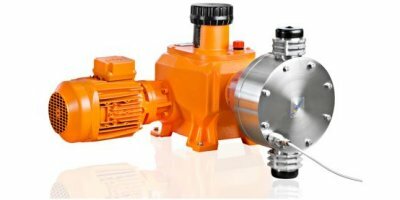 The modular construction of the diaphragm metering pump Makro TZ with adjustable eccentric drive mechanism and mechanically deflected multi-layer safety diaphragm makes it wonderfully adaptable to the capacity requirements of the respective application.